Preparing for the Holiday season can be exciting! It can also be extremely stressful! There is so much to do on top of everything else you must get done each day, each week. How can you possibly add one more thing to your already busy schedule? Still, Christmas is coming whether you are prepared or not! This year, reduce Holiday stress when you take the Simple Joy apporach to Christmas! 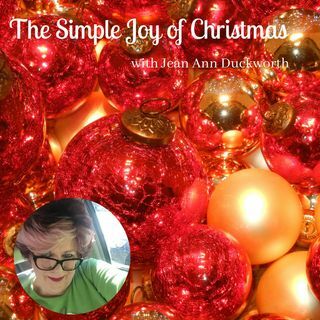 This week, Jean Ann discusses ways to simplify the process of decorating your home for Christmas. You can ... See More have a beautiful home filled with Holiday decorations without the added stress. Each day this week, Jean Ann offers tips & ideas on a different area of Holiday home decoration! This Christmas, let's take the stress out of the season! Let's make Christmas a Simple Joy!